BEING journalists by training, the TylerBale team likes nothing more than getting out and about to get stories directly from source. Whether we’re chatting with an Army wife or getting the lowdown on the latest scientific developments from a university professor, nothing beats the buzz of interviewing. 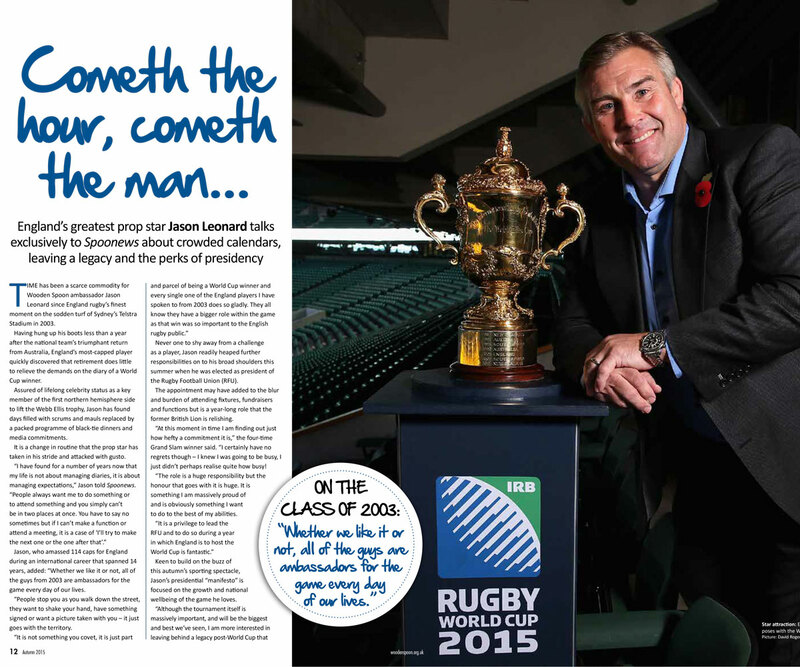 We’ve also been lucky to count a number of star names from the world of sport, politics and entertainment among those to have faced our questions – and managing director Andy Simms recently added England Rugby stalwart Jason Leonard to his list of interviewees. The national team’s most-capped player spent time with Andy to discuss his support of Wooden Spoon, the children’s charity of rugby, and make a bold – if sadly incorrect – prediction that England had a very good chance in the recent World Cup. You can read the resultant feature, which appeared in the relaunched Spoonews, here. To find out more about our editorial services, from interviewing and writing articles to coming up with sparkling marketing material, send us an email or call 01252 714870.